HUMAN_STORY | Yasud Mold Manufacturing Co.,Ltd. I want to feel the pleasure of living, as if it were the earth. Life is show - I will support a life with two. We guarantee a rich lifestyle. We are committed to creating a workplace where employees can demonstrate their abilities and individuality to their fullest. Various training system including QC circle was implemented. Also encourage actively by hierarchy / collective activities. We aim to encourage self-development of each and every employee, while at the same time aiming to cultivate further technical development capabilities. Bangkok (Shangri-La at Chaophraya · Riverside Hotel) etc. Sorry I did not catch anything! ! You probably caught about goby. 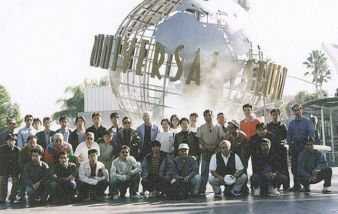 '98 I went to Los Angeles, USA in Las Vegas. '07 I went to Beijing and Shanghai. 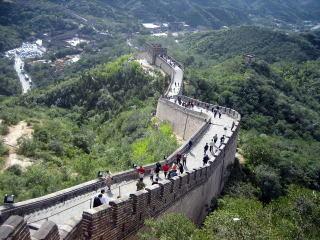 China was vast and full of vitality. Copyright (C) 2014 Yasuda Mold Manufacturing Co.,Ltd. All rights reserved.